The Mother of Massah Kaikai, who got missing in early August 2018, has yesterday demanded that the suspected remains of her daughter, which were discovered in a 14feet hole at her former Lower Pipeline residence, Off Wilkinson Road in Freetown, be taken to the United Sates for forensic examination. “I am demanding that the corpse to be taken to America for forensic examination. The police want to cover up something. My daughter was about getting an executive appointment in the Bio’s government, but somebody stopped it. I will get to the bottom of this investigation,” she said. She emphasized that Sierra Leone lacks the capacity to establish whether the remains found at Wilkinson Road, were that of her daughter, hence she be taken to the US for forensic examination. According to the Director of Public Prosecution (DPP), Easmon Ngakui, since Miss Kaikai got missing some eight months ago, the police had arrested her driver, Ibrahim Mansaray, who was later charged to court with the offence of kidnapping. He said last week, the Federal Bureau of Investigation teamed up with the Sierra Leone Police and mapped out strategy, which finally led to the discovery of her remains buried at her Wilkinson Road residence. 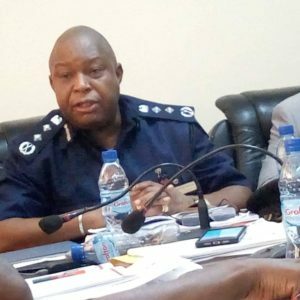 He said upon the launch of the joint investigation, they were able to arrested one Mohamed Conteh, whom the accused had contacted through one of his girlfriends, to come along with pix axe and shovel at the deceased residence. The DPP said Conteh came and dug the hole and that after the exercise; he was given some money and thereafter left the compound. He said the accused, Ibrahim Mansaray, had told Conteh that the said hole was meant to place rubbish. He explained that during the investigations, they were taken to the residence where they identified the hole in which Massah’s remains were found and eventually exhumed by Dr. Owizz Koroma and his team. “It is the evidence that we gathered that led us to that hole. I have no iota of doubt that the remains discovered in that hole were Massah’s remains. No doubt absolutely! Our investigation was systematic,” the DPP reiterated. Meanwhile, Director of Crimes Services, Assistant Inspector General Brima Jah, told newsmen that when they confronted the suspect with the fact, he admitted killing the deceased.